Well, it’s been over a year since my last post on the Steady Footsteps blog, though there’s quite a bit of new material on my other blog, A View from Vietnam. We’re still in Da Nang and we’re still busily engaged in trying to make life better for disabled folks in Central Vietnam. Trang, Huy, and I have been working together at the Traditional Medicine Hospital of Da Nang for more than a year now and hope to continue for the foreseeable future. The majority of our hospital patients have suffered strokes, though many at a younger age than I had been accustomed to seeing in the States. (Our most recent is only 17 years of age!) 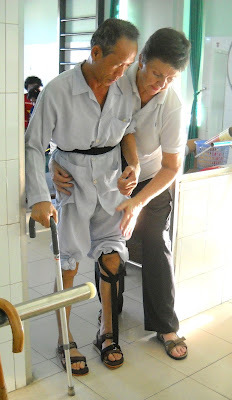 We’ve also worked with divers from Quang Ngai who sustained spinal cord damage due to decompression sickness (aka: “the bends”) and--of course--victims of traumatic brain injury due to motorbike accidents. Our work in the community has continued as well. In Dai Hiep, four year old Phuoc, who has cerebral palsy, has started to speak and continues to try valiantly to perfect his head control and gain functional use of his arms. 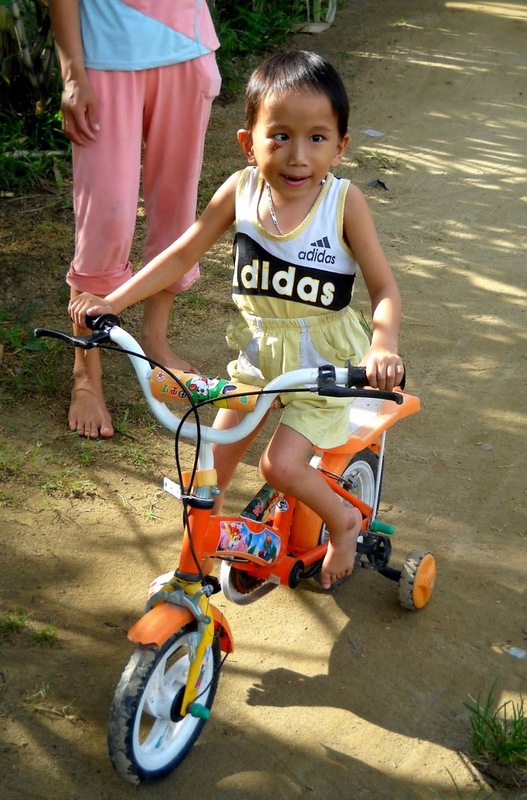 Tiny ten-year-old Nhon, who has what appears to be a pituitary disorder, has transformed himself, with our help, from a weak and listless waif into a dynamo on wheels! Farther afield in Quy Son, Trang has been traveling an hour each way via motorbike to become, in essence, a Guardian Angel for Hoa, a head-injured young woman with coordination problems that I’ve been following intermittently for the past four years. 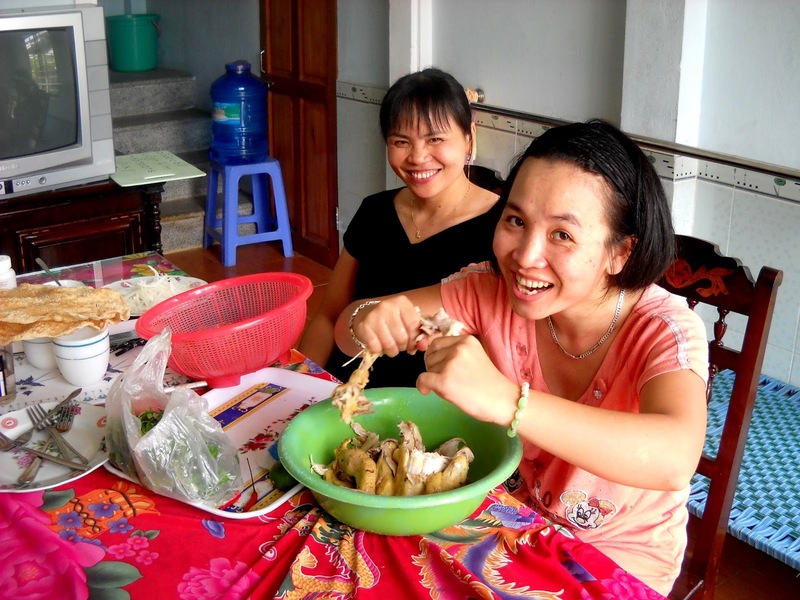 Under Trang’s care, Hoa has started speaking, doing more and more activities of daily living independently in her home, and even getting out into the community for the first time in four years on the back of Trang’s three-wheeled motor bike. 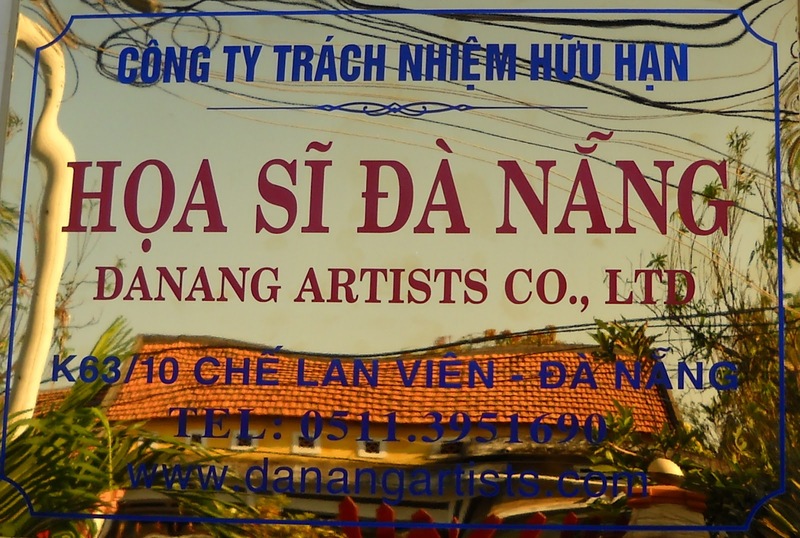 Finally, our efforts to promote the financial success of disabled artists of our acquaintance have led us to formalize a business called The Da Nang Artists Company. 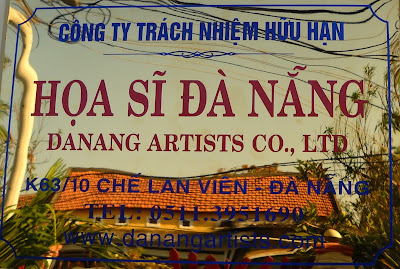 (A Vietnamese language version of the site can be seen here.) Through our efforts, paintings by Nguyen Tan Hien, our quadriplegic artist and friend, are now offered for sale not only by us, but also via another on-line gallery based in the UAE: liborius-xu.com Hien’s proudest, however, of two very different accomplishments this year. He and his wife Ly now have a baby son and a little one-bedroom house of their very own!